6 Amazing Simple Ways How Coffee Can Make You Prettier ! Coffee is an antioxidant-packed multitasker can also help improve your hair, skin, and more. Check out these amazing pretty perks of your morning brew! Drinking coffee is one piece of the puzzle; another is putting it on the surface of your skin. 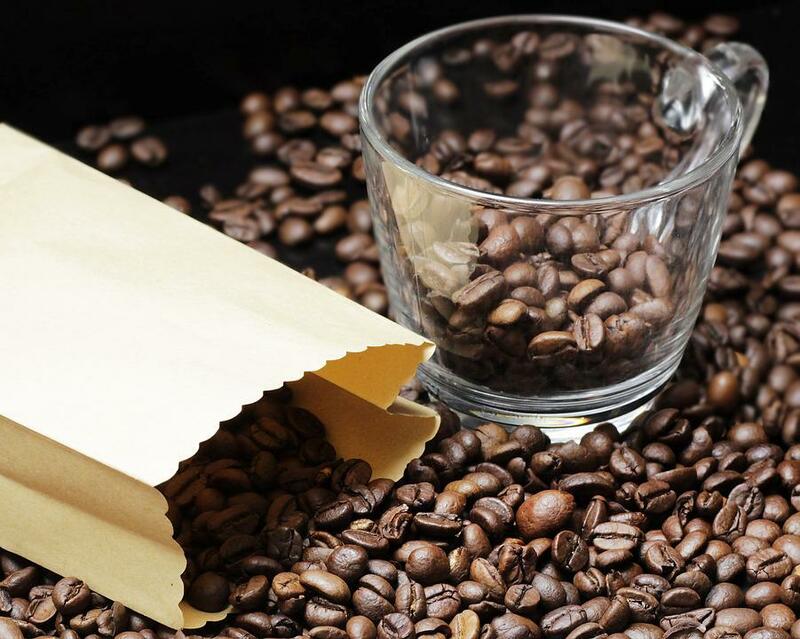 A coffee facial scrub can help brighten skin, prevent clogged pores, and soften lines. The acid in coffee gives you some chemical exfoliation on top of mechanical exfoliation. It also helps bolster skin’s protective barrier. That is what keeps you healthy when bacteria, viruses, and fungi are landing on your skin 24/7. Making a coffee scrub is very easy.In a bowl, soak coffee grounds in warm, filtered water (coffee grounds will sink to the bottom of the bowl), and add Epsom salts. Rinse your face with the water from the bowl, then scoop up the grounds to gently scrub the skin. Finish by rinsing with more of the water from the bowl. Maybe you have heard of the hair-brightening trick favored by blondes: washing hair in chamomile tea or champagne. Well, if you’re a brunette, consider using espresso. Coffee grounds mixed with water into a paste and applied to damp, freshly shampooed hair will add some depth to your color. The acidity of the coffeine will also smooth the cuticle of the hair, giving it extra shine. According to the results of a 2011 study published in the Proceedings of the National Academy of Sciences, you may someday slather these grounded beans on your burn-prone parts to protect your skin from sun damage. Researchers found that topically applied caffeine helped protect against some skin cancers at the molecular level by inhibiting a protein enzyme in the skin. In the meantime, protect yourself from melanoma by reducing sun and UV exposure. Any eye cream that promises to unpack your under-eye bags or lighten up dark circles probably contains caffeine. If you put coffee on the skin’s surface, it dehydrates and constricts blood vessels. The area under your eyes is a lymphatic channel that drains poorly, and caffeine helps remove water from the system. As we age, under-eye skin gets thinner, making it easier to see the blood vessels. The vessel-constricting effect of this could temporarily help; expect to see results for 30 minutes to an hour. Give coffee beans a quick sniff in between. Smelling coffee between spritzes of eau de cologne and the like helps prevent nose fatigue, according to research by the University of California, Berkeley neuroscientist Noam Sobel. In other words, it serves as a sort of palate-cleanser or reset button (that’s why you often see beans at the fragrance counter of fancy department stores). If you find coffee at the spa, it is most likely in a body treatment. The Body Scrub is one of our most popular exfoliating scrubs. The treatment mixes coffee extract with Dead Sea salt and energizing essential oils for a sloughing ritual that, she says, targets cellulite and rough skin. For similar results at home, try a scrub pack made with ground arabica beans, Dead Sea salt, moisturizing jojoba oil, and invigorating mint and rosemary oils. Gently rub the mixture onto your body in a circular motion before stepping into the shower. After your shower, pat skin dries and apply moisturizer. Healthy Hair Alert – 4 Oils That Nourish Your Hair Naturally!